During last few seasons of fashion weeks all over the world, it’s become clear that the industry is embracing activewear and athleisure and is integrating the looks in new and surprising high-fashion ways. (See: Naomi Campbell in bike shorts at this past Paris Fashion Week). As the gap between athletic duds and ready-to-wear fashion continues to close, one of the first trends to emerge from this New York Fashion Week is feminine,’90s-inspired tracksuits. 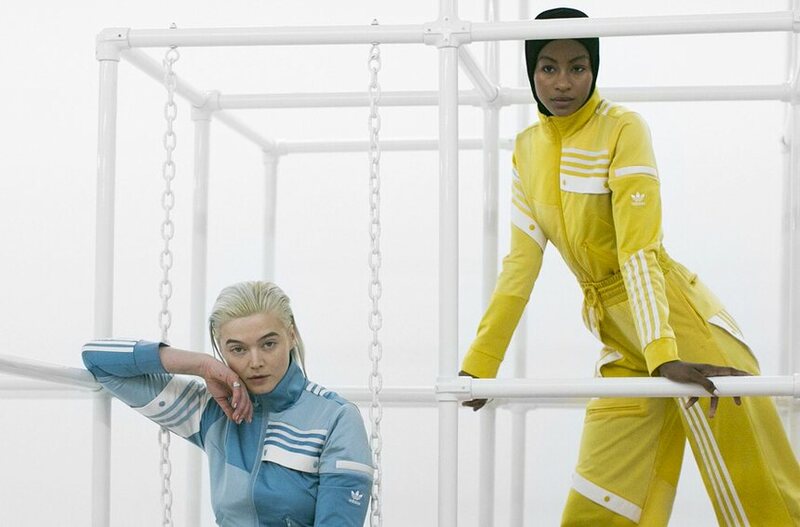 At the recent Adidas Originals NYFW show, 23-year-old Dutch designer Danielle Cathari unveiled her debut collaboration with the brand. The collection’s vibe is reminiscent of the tracksuits you loved in the ’90s but deconstructed and redesigned with the female body in mind. “It’s a very feminine collection that celebrates women, but it’s effortless and easy at the same time,” Cathari told Dazed. The collection, which drops online this weekend and in several Adidas Originals flagship stores later this spring, according to a press release, already has a fan in Kendall Jenner: She was photographed rocking a tracksuit from the collection (with a pair of heels!) on the way to the show. My only remaining question: Did the supermodel cop Mandy Moore’s genius hack for making stilettos more comfy? See some of the best moments from past seasons, like these sporty street-style looks and these dreamy flower crowns.